We have over 25 years of experience moving heavy equipment and machinery. We have air ride equipped trailers to ensure your cargo is safe from road vibration damage. We are experts at moving and relocating heavy machinery. Our goal is to offer personal and affordable services regardless of load size. Our machine relocation services have expanded to include several industries. We serve all of Southern California. Get started with a free quote today. 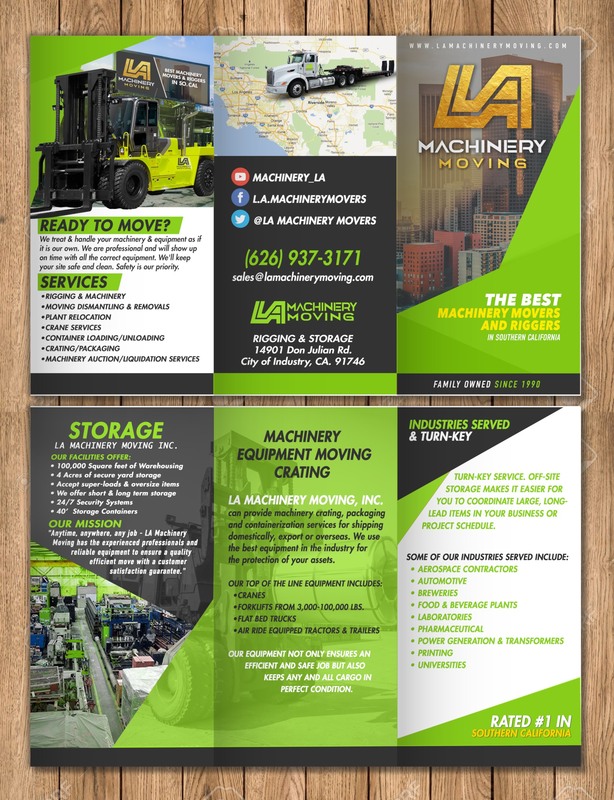 LA Machinery Moving is a leading Los Angeles apparatus and machinery packing, lifting, moving, relocating, and international shipping business. We serve companies of all sizes from many industries in Southern California. We offer worry-free services on heavy machinery and equipment crating, dismantling, erecting, installation, moving, and relocating. Speak with the experience professionals at LA Machinery Moving by calling (626) 937-3171 for a free estimate. There is no job too big or too small. Our team can move small loads or relocate your entire business. With our cranes and advance moving equipment, we are able to crate and pack any size equipment for transportation. Whether you need to move your machinery down the street or internationally, LA Machinery Moving is able to provide peace of mind moving services. LA Machinery Moving staff members are skilled and dependable, treating your goods with respect and care. Besides safety, customer satisfaction is our top priority, which is why we offer a wide range of services. Our tradesman can dismantle, reassemble, and install your machinery in your new location. Our erector services include aligning and leveling for running efficiency. We want to make your move as easy as possible. Stop worrying about your upcoming move and hire experienced Los Angeles machinery movers that have decades of experience and will handle your heavy, large, technical, complex, and sensitive equipment with proper regard so it remains in perfect condition. The friendly and knowledgeable representatives at LA Machinery Moving are available when you call us today at (626) 937-3171. We provide a personal touch and treat your machinery as if it were our own. We ensure that your equipment remains in perfect condition. We delivery machinery with speed, efficiency, and safety. We have a capacity to crate and ship equipment internationally. 14901 E Don Julian Rd.